The plane landed at the airport Wednesday morning shortly after 9am. 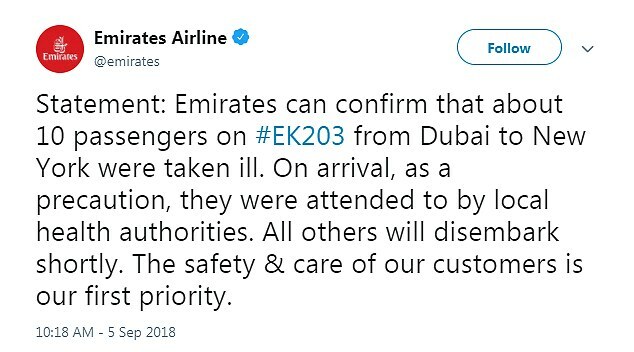 ‘Emirates can confirm that about 10 passengers on #EK203 from Dubai to New York were taken ill,’ the statement read. ‘On arrival, as a precaution, they were attended to by local health authorities. All others will disembark shortly. 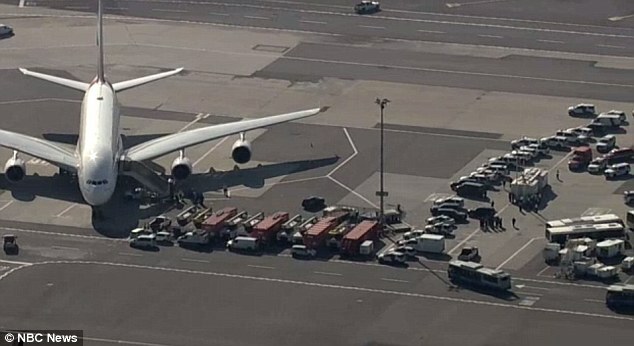 ‘The safety & care of our customers is our first priority,’ the airline wrote. Passengers also shared photos from inside the plane as they prepared to disembark. It’s unclear what caused the high fevers and coughing, and officials are still investigating.